We supplied exercise books to both Toniataba Lower Basic and Fonkoi Kunda Lower Basic schools in the first term, and topped up with more in the second term to ensure they have enough to last until the end of the school year. We have replaced the windows in the computer lab as so many of the panes of glass were broken. We intend to provide help with some ceiling repairs later in the year. Mr Sanyang has started an after school IT club for the grade 8 and 9 students who are keen to attend. Mr Sanyang the IT teacher has said that they really could do with some more computers with flat screens. Further help is required with printing costs i.e. cartridges, screw drivers and compressed air dusters. If you are able to help then please contact Sue on 01296 688039 or email sjones@friendsofsikunda.org. We have a new manager, Syia, for the Skills Centre. She has a lot of young girls learning how to crochet, and quite a few ladies and girls attending during the open hours to use the sewing machines. 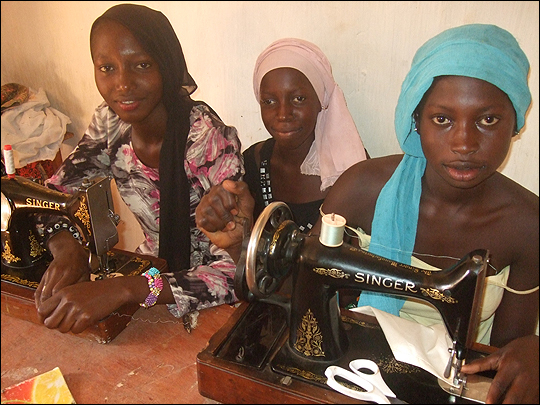 Syia will ensure that the next batch of school uniforms for the Si-Kunda Village School will be made in time for the September term. On our last visit in April there was no shortage of eager ladies and girls attending. We could do with more hand sewing machines now, they need to have the round bobbins (not shuttle) and be in very good working order. We need more for Si-Kunda, and also some ladies in Toniataba village would like some sewing machines. They have someone whi will train them and will organise themselves. Please contact us if you can help. We had a lot of wool in the skills centre, and with agreement from us they donated some to Soma Upper Basic School for their craft classes. They were desperate for wool and needles so were thrilled to receive the donation. 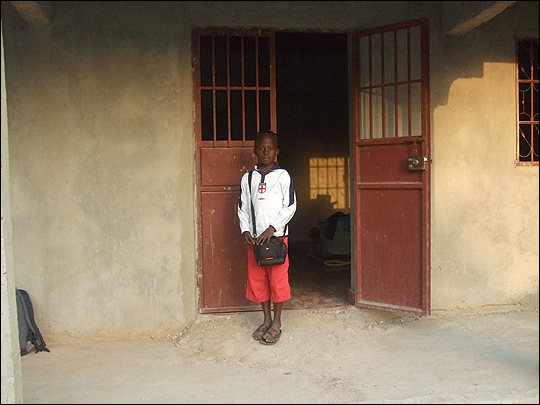 We have some of our sponsored students at that school, so they benefited also. We can always do with some more wool to send in our shipments! 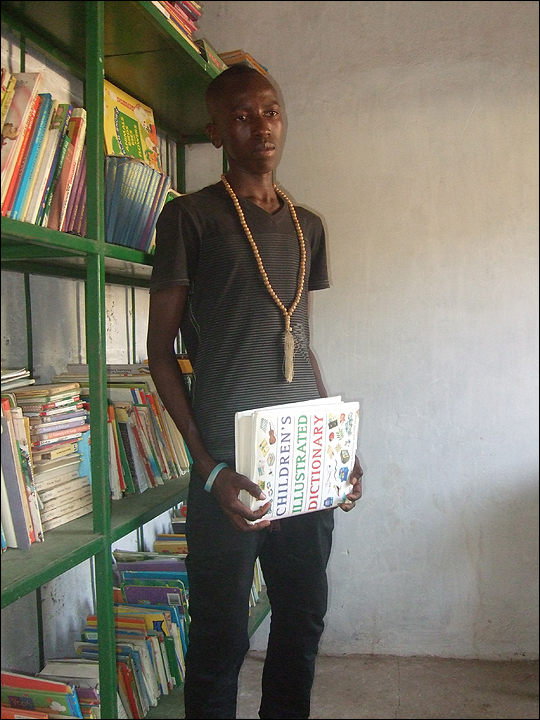 Seedy Sonko, one of our studets who attends Tahir School, is doing a great job with managing the village library which he opens on Saturday and Sundays. It is kept very clean and tidy, and he records any books being borrowed. Seedy has made a request for more encyclopaedias, dictionaries – including picture dictionaries and basic computer books. If you have any we can send we would be grateful. 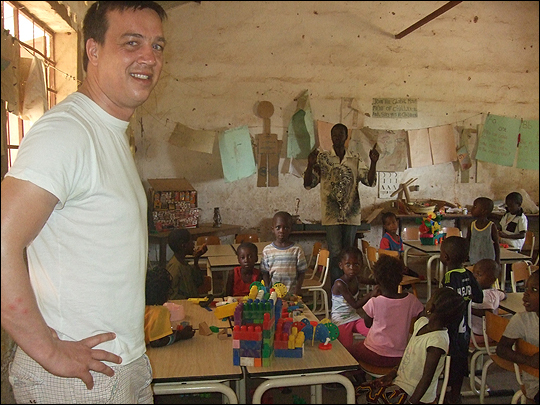 Our head teacher Saine has recently finished his 3 year teacher training, and just completed his final exams. This he was doing in his spare time and school holidays. He has certainly gained a lot from this, and is very motivated by it. 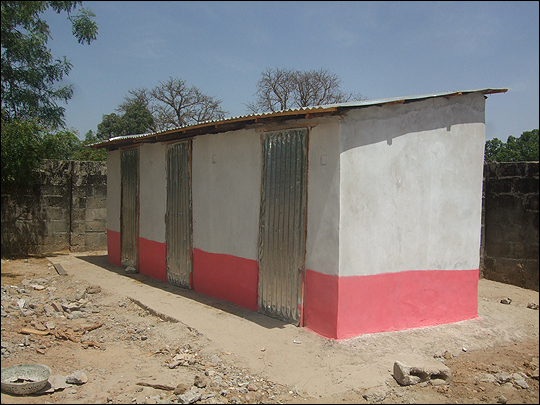 We have just rebuilt the toilet block and made some repairs to the school wall where needed. We are now looking to start an extra teacher in the school at the start of the new school year in September. 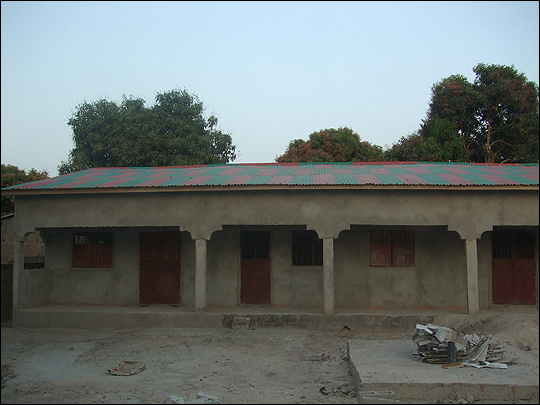 Modou our second teacher, Alpha the gardener and caretaker, and Tombolou the school cook are continuing to work at the school. Some further garden supplies have been purchased to enable Alpha to do his work. We continue to support and supply this school, and we are pleased to see there continues to be an average of at least 80 children attending. They would like some more toys (without batteries), balls, and two school clocks. Upon meeting Mr Chatti the headmaster and deputy head in April, we learnt that the water supply in the school well is now unusable for drinking. 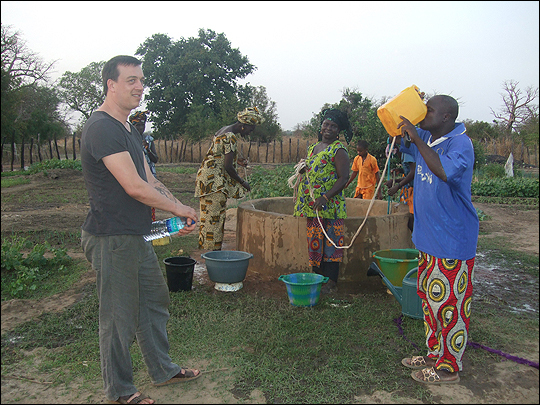 The children had to walk to the borehole in the village to get their drinking water. Obviously this was not ideal, and there are over 400 pupils in this school. So in April / early May, with agreement, we organised work to have pipe work laid and installed taps to ensure they are able to have a constant watre supply. This links directly into the water supply from the borehole. The school now have two taps of clean good water in the school grounds, which has obviously made a huge difference to them. We continue to help with supplying as much stationery to the school as we can each year, plus the supply of exercise books, and supplement the school fund to supply teacher and school requirements as needed; this helps the whole community as previously the parents had to pay the fund an amount for each child attending each term, which in most cases was very difficult. Ansu our sponsored nursery teach at the school is doing extremely well, and his class is full of his ideas he has learnt from his nursery teacher training he completed eighteen months ago. The school library we created a few years back is looking good, and well used. We may have to look to repleneshing some of the books in the future. 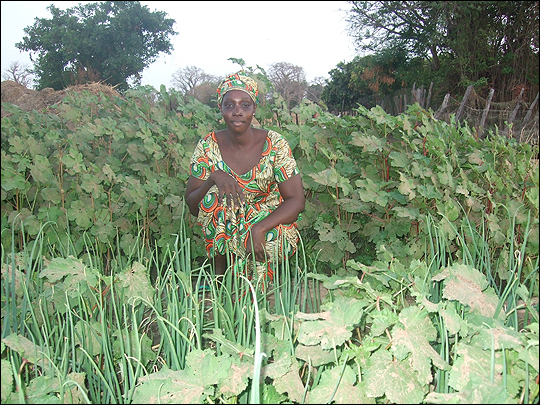 These are the allotments set aside for the women of Si-Kunda. Created in 2006, they are flourishing, and in April were looking as good as they ever have. All the wells have plenty of water, and the vegetables were looking good and healthy. The ladies organise themselves well, and have elected two people for maintenance work in the gardens, being paid by the women collectively. They also collect a small rent and the money goes into a bank account, to be used when required. We have made some recent repairs to the fencing, and Sankung keeps close contact with the progress in the gardens, so we can be kept informed if help is needed in any way. But generally, this has been taken over, and run by the women themselves. This is the project we are hoping to complete this year. Creating a permanent home for Sankung our project manager and his family, and also a temporary home for any students requiring accommodation while attending further education near the coast. The building has now been plastered inside and out, the windows and doors are in, the ceilings almost completed, and the floors tiled. Once the outside kitchen area is complete and the toilet facilities are done, plus a bit more work on the wall around the property, then they should be able to move in. We are very proud of our sponsored students, we have several at the GTTI (Gambian Technical Training Institute) learning trades as electricians and plumbers. Lamin Njie who is at the Gambian University is getting good grades, and is thrilled to have his practical placement secured with the Gambian Audit office next year.